If you have been arrested for a DUI in violation of Florida Statute 316.193 in the town of Cheval in Hillsborough County Florida the dui attorneys of Finebloom, Haenel & Higgins are available to defend you! When arrested for a dui, there are many dui attorneys Cheval residents may choose. To ensure you hire the most qualified dui lawyer in Cheval for your needs, you should understand the possible outcomes for your dui charge. For your first offense, you may face a license suspension from six months to one year. There is a mandatory requirement of at least 50 community service hours. It is possible to receive six months in jail (up to 9 months if you blew over a .15) and fines of at least $500. As a first time offender, you may be able to avoid jail time or have criminal charges dropped with the assistance of a dui attorney. 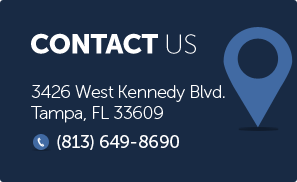 Cheval residents or arrestees can discuss the options are available by calling a qualified Cheval DUI lawyer who understands the ins and outs of Florida’s dui system. A third DUI offense can be considered a third degree felony if it occurs within 10 years of a prior conviction. If the dui is a third within 10 years there is 30 days of mandatory jail time, a $4,000 minimum fine, as well as license suspension for 10 years. Cheval dui attorneys who have defended clients with multiple DUIs may be able to challenge the felony filing of your third dui under some circumstances. If the charge is not able to be filed as a felony, you still can face up to one year in the county jail for a third time dui. Many Dui lawyers Cheval has available to choose from do not have experience with felony dui. Although a third dui may or may not be a felony charge, all fourth time duis fall into the felony category. For a fourth DUI offense, penalties can include 5 years of jail time and a lifetime license suspension. You will also be labeled a convicted felon and lose all rights associated with that label. At Finebloom, Haenel & Higgins our Dui attorneys in Cheval have the experience necessary to investigate and defend your case whether it is a first time or felony dui charge. With over 30 years of combined experience there is no situation we have not encountered or litigated. We are always learning and expanding our dui knowledge in order to prepare the best defense for you. Call us now at 813-200-4412 for a consultation. Attorneys are available 24/7 to take your call.